KENNEDY SPACE CENTER, Fla. — As SpaceX prepares to launch its Crew Dragon spacecraft on its first test flight, the company and NASA acknowledge there’s still a lot of work ahead before the spacecraft is ready to carry astronauts. At a briefing here Feb. 28, NASA and SpaceX officials said they were moving ahead with plans to launch the Crew Dragon spacecraft on a test flight known as Demo-1 or DM-1 that will demonstrate the spacecraft’s systems without a crew on board. 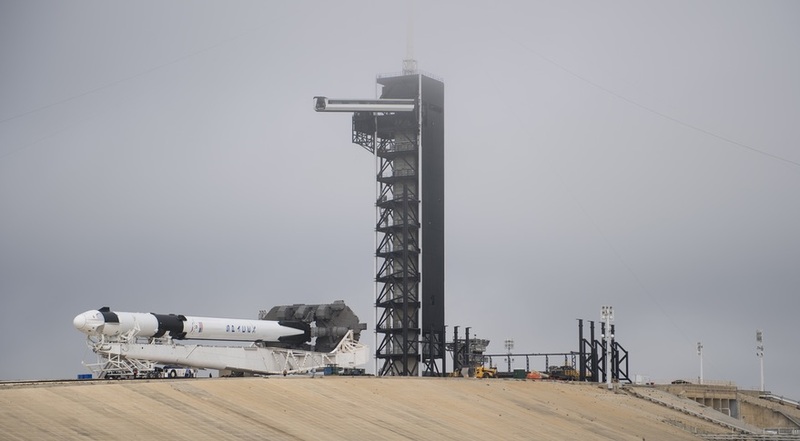 The mission is scheduled to launch on a Falcon 9 at 2:49 a.m. Eastern March 2 from Launch Complex 39A, with an 80 percent chance of acceptable weather. One late obstacle that NASA and SpaceX had to overcome was a concern by Russia, one of the International Space Station partners, about the risk the spacecraft posed to the station should its computers malfunction on approach. Roscosmos issued a dissenting opinion about the Crew Dragon’s flight software during a Feb. 22 flight readiness review, and NASA subsequently worked to address those concerns. 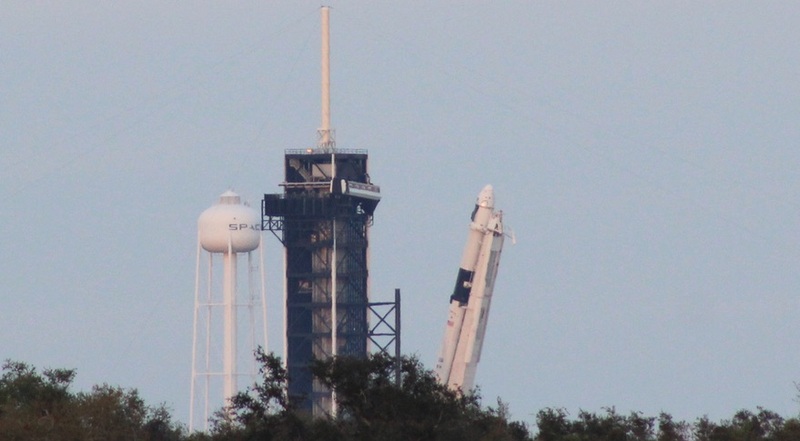 The Crew Dragon spacecraft approaches the ISS differently from the cargo version of Dragon, explained Hans Koenigsmann, vice president of build and flight reliability at SpaceX. The cargo Dragon approaches the station from underneath until it is close enough to be captured by the station’s robotic arm. Crew Dragon will position itself in front of the station and move in along the velocity vector to dock with the station. For the Demo-1 mission, Crew Dragon will approach to within 150 meters to the station before the station’s crew issues a retreat command to move it back to a distance of 180 meters. “This is all part of the testing we do to ensure the safety of the space station,” said Montalbano. The spacecraft will also stop at a distance of 20 meters for final testing before docking. The ability of Crew Dragon to safely dock with the station is just one of many tests that the spacecraft will undergo on a flight scheduled to last about six days. “From a NASA perspective, we’re really wanting to see the on-orbit performance, how the systems are going to be working together,” said Kathy Lueders, manager of NASA’s commercial crew program. “This is an invaluable exercise for us to learn in the space environment how these systems will be working, and then making sure these systems are ready to go for when we’re going to put our crews on them,” she added. Koenigsmann said that there’s “still some work to be done” on elements of Crew Dragon ahead of the Demo-2 mission. The life support system will need to be scaled up for the Demo-2 mission, he said as one example of a change, and software will be updated between the two missions. “There’s a lot of detail that we have to work through, but in general it is the same vehicle,” he said. Another issue, first reported at a Feb. 22 briefing, is with the spacecraft’s Draco thrusters after thermal vacuum testing. “For the full environment that we were expecting this mission to be originally operated within, the Dracos didn’t like that environment,” Lueders said, with temperatures getting too low. For Demo-1, the mission has been changed to avoid those low temperatures, including the one-day approach to the ISS after launch. Ultimately, heaters will be added to thruster’s propellant lines so that it is not an issue for Demo-2, she said. Other changes to the spacecraft are likely depending on the outcome of Demo-1. Lueders said the spacecraft is heavily instrumented to measure its performance and also will have on board a mannequin — nicknamed “Ripley” after the character from the Alien movie franchise — to study the conditions a human would experience on the spacecraft. That Demo-2 mission is planned for launch in July, according to NASA’s current schedule of commercial crew test flights, although most industry observers expect that to slip to later in the year. Koenigsmann, asked if that July date was still feasible, said it would depend on what changes need to be made to Crew Dragon after Demo-1.